You are currently browsing Pearl’s articles. Scott Metz has an open thread at The Haiku Foundation where over 100 thoughts and memories have been left. 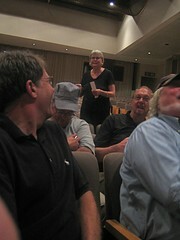 Penny’s highlights are at her site where she points to her favorites from the photos taken by MD Welsh. Tobacco Road points to the whole album. Fay speaks of the cruise at her blog and Scott did a Periplum on her based on his HNA talk. 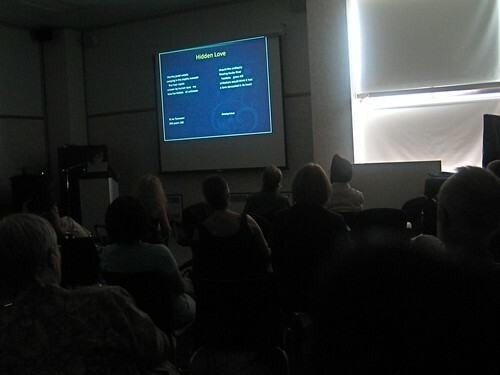 Deborah P Kolodji did a post during the conference, shared a a cartoon by Naia, pre-conference sight-seeing, a part 2 from Ottawa, and a and a retrospective with photos. 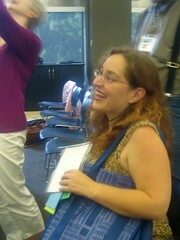 Janick Belleau has notes from the conference on her webpage. 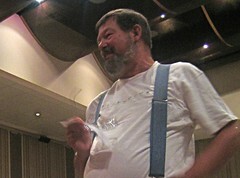 Rick Black has shared his look at the process of selecting poems with Kwame Dawes for a chapbook. See it here: chapbook contest results and invitation document. Michael McClintock’s Sketches from the San Joaquin was their choice this year. Rick Black says, “I hope you’ll all consider entering our upcoming chapbook competition – it should be a lot of fun, a good way for me to give back to the haiku community and for poets to put together a collection and get a book out of it. You can go Turtle Light Press Chapbooks to see the guidelines. At one point he shared a secret — he showed the clock he had stashed in the podium. What speaker would want to talk with time hanging over his head? Now he is standing over time he quipped. He did not stand alone there. The room was warm with community in suspended time. And with those who have gone before who, as Patricia Donegan put it, serve as “an archive of the human spirit” such as Elizabeth Searle Lamb who was said to never prune a branch which she could walk around. Poetry is not the linear unpacked expected but the intuitive synthesis of now and what has come before. It mat be centering or unsettling. To keep balance is a challenge in haiku yet as we write the poems they write us and the lessons can be extended outside the page. For instance, he and his wife were considering relocating and the clincher came from poetic principles — the leap that keeps vitality. Why not also practice leaping in daily life? And so they moved from Alberquere to El Rito and the new home proves the reward of this wisdom. as he said in his presentation. 2) After each trip his dad would say draw something that impressed you from the trip and then his mom would say why don’t you write a line or two about how you felt about it? After a series of vacations, around age 10, they suggested, why don’t you draw a cover and make a title for those? They bound it and so he had his entry into book making and validation of what he perceived. Years passed and college and an English professor came. When Brandi presented his short poems the prof suggested he try the tried and tested, valid Western forms like the sonnet, or maybe the limerick instead. Unfortunately that prof is still out there in one form or another; we know that the small, contained form of haiku has the core poetic elements. At the heart of the practice are the essentials…what you need to know is present and concrete without embroidery, there is a central image and a leveraging of perception into suggestion. Haiku is a call back to the land where there is a grounding. With the new media there’s an emphasis on staying connected, but what does it mean, he asked, to be connected to who and what is absent? Haiku has brought good things, good conections this conference. Where next? To see what is next. 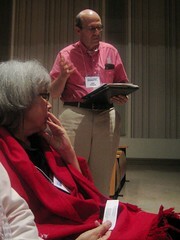 Nick Avis spoke of crosscurrents from Newfoundland and Labrador. 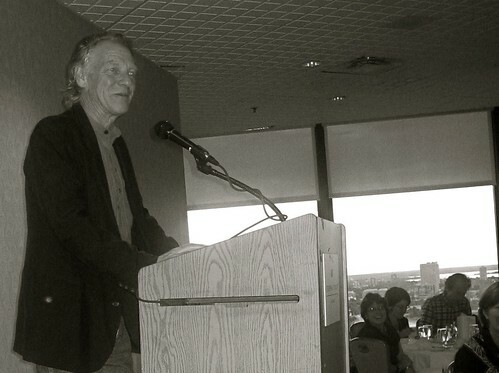 There he was involved for 20 years with the March Hare Festival, the largest literary festival in Atlantic Canada. Newfoundland is 40% Irish. The connection and similarities across the Atlantic to Ireland are strong. Unfortunately parity is an issue on both shores. Major male poets far outnumber female. Lyric poets far outnumber haiku poets. Lyric poets outnumber haiku poets in Newfoundland as anywhere. Why should this be for an elegant form with economy of meaning? There’s the preconceived notion in Canadian literature that the measure of one’s status is based on: bigger the better. Long poems, book-length or epic poems are given more status. Avis suggests that part the basis of that habit of thinking may come from how long works are unpacked; more of the onus of communication is on the writer. In minimalist poems and haiku the demand is on the reader to step into the gap bring suggestions for connections and build the narrative. Why does haiku not become more popular and central for reading and writing in the general culture? One aspect is form, this sense of greed economic, bulk discounts, weight put on greater length as greater value. A second aspect is content. Due to greater urbanization and disconnect from nature, most people are not involved in the natural world or aren’t interested in it. If the majority of people were we would not be in this environmental crisis. 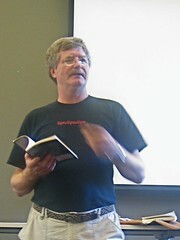 Haiku gets a focus when non-haiku poets try it as an exercise, such as Michael Redhill or Heaney. Often this yield unfortunately miscuing to mistakes that would be mistakes in any poetic form — unnecessary verbiage, intellectualizing, not being intuitive, anthropomorphizing, padding, etc. Well-rendered poems, such as the haiku sequence In Hardy Country by Tom Dawe deserve a wider reading. It’s an unfortunately situation where the term is watered down to the point where publishers ask “no haiku please.” Partly, why haiku can be misunderstood as sentimental 5-7-5 verse about anything under the sun is from popular figures writing without a knowledge base of the history. Partly, within the community there is a laxness of terms, where we call a senryu without season’s kigo, a haiku. We add to the confusion. As advocates and fans and practitioners of the form we can work to educate. Haiku magazines and journals can be seen as on par with other poetry journals. By reading, writing and dialoguing about the people who are doing good poetry, we can spread the word that good poetry lives in haiku as well. 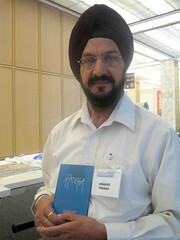 Amarjit Tiwana learned of the haiku form in Punjabi through Parminder Sodhi who, living in Japan, made a book of translations entitled Japani Haiku Shairi. He was introduced to this book by his mentor Angelee Deodhar in 2003. Since then Amarjit has taken the promotion of haiku as his life work. In his online project, Haiku Punjabi, he introduces contemporary and classic haiku to speakers of Punjabi daily. There are 3 editors and over 40 contributors. 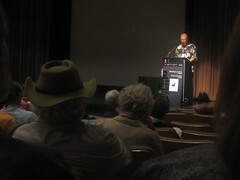 The audience for haiku is large. There are 120 million Punjabi speakers, 80 million in Pakistan, 20-25 million in India and the rest spread around the world. In Canada there is a concentration in Toronto and Vancouver and there are 8 Punjabi Members of Parliament. 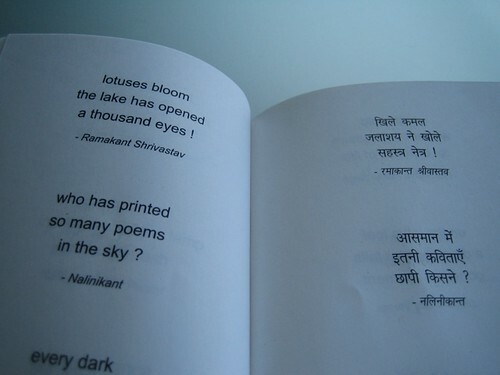 In print, his book Nimakh, released in India in 2008 has received attention for haiku. He sent the book to 500 authors, critics, university professors and poets and it is being widely read. Nimakh is from the Sanskrit word which means the time it takes to blink an eye. It is a collection of haiku by him which translates to Moment. He is working on a new book, translation of Basho and Issa and contemporary poets to make a collection of 135 haiku for school children. He plans to place a copy in each of 5000 Punjab schools and distribute them for free to introduce children to these classics. Angelee Deodhar has been bringing haiku to India through translation. 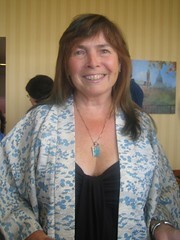 During the conference she gave a talk on love haiku. H09 asked: How long have you been involved with haiku? This is a summary of her reply. I have writing haiku for over 20 years now. Although the British school system is in English and all the classic western writers are covered, eastern writing is not. 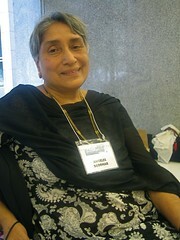 An ophthalmologist by training, she became ill in 1989 and while ill, she came across a magazine which had haiku in it. She inquired at the Japanese embassy for information on the kind of poetry. They in turn send her a photocopy of an article which had on it contact information for Bill Higginson. She then wrote a letter to him asking for more information. In reply he sent her a copy of the Haiku Handbook inscribed with “in answer to your question.” he refused payment for the book and they continued correspondence as he mentored her by lettermail and by phone. She finally met Bill Higginson and Penny Harter in 2001 at the HNA in Boston and in 2003 in NYC. 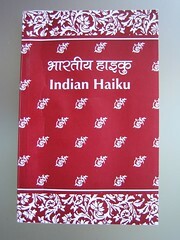 Angelee Deodhar’s translations of particular haiku and of the form is spreading the word in Hindi. Below is the book which she edited. 89 are poems written in Hindi and translated to English and 16 are translated to Hindi. H09 asked: Who is your favorite haiku poet? I’m drawn to Shiki‘s technique of write as you see it and feel it. H09 asked: Do you have any new projects coming up? David Lanoue and I have just collaborated on Distant Mountains: 160 poems by Issa. It’s a bilingual edition. We started with 500 poems and narrowed it down to 160, arranged by the 4 seasons and New Years. On the ginko walk past Parliament and the changing of the guard he was impressed by the amount of rah-rah-rah that Canadians got for the country. It was like American patriotism. And it struck him that nationalism is a belief. There is no Canada. There’s land and there’s people. There’s no U.S. There’s land and some people. But look at the amount of energy we can push towards this belief. Haiku, he said is more than a poetry form. it is a belief. 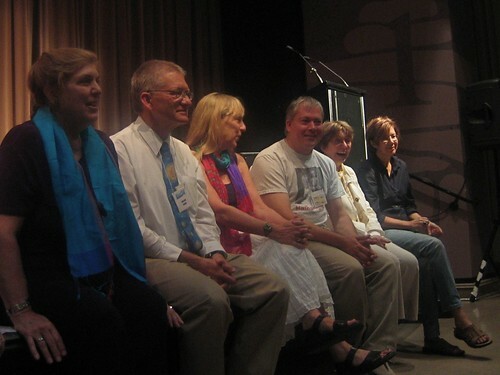 There was a round table discussion of places to host retreats and discussion over the interactions the Foundation would have with Haiku North America and American Haiku Archives which are housed at the California State Library in Sacramento, California. 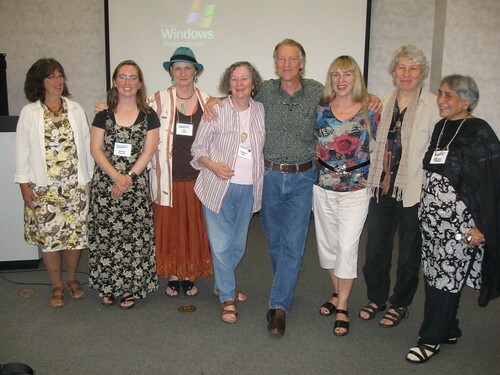 The American Haiku Archives has been going 13 years now. Around 70 people attended its inauguration. The foundation of the collection was made by a donation of the collection and papers of Elizabeth Searle Lamb, a foremother of haiku in North America. The archive seeks to preserve not only haiku but the people and culture of haiku collecting biographical ephemera of haiku poets, including photos and correspondances. Michael Dylan Welch gave an introduction to its history and use for anyone who wants to come and use the collected resources. Each item is treated by archivists to keep for centuries, treated so that the binding, paper and fastening is stable. It costs $15-20 per item and there are thousands of broadsheets, chapbooks, ephemera and books in the collection. 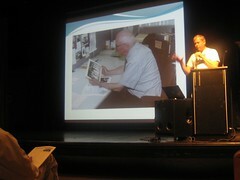 There was an announcement that Stephen Addiss would become the Honorary Curator for 2009–2010 taking over from George Swede. Two tireless organizers Terry Ann and Guy during conference and the other tireless organizer Claudia while at the plenary supper. John Brandi and (some of) his harem. He wowed the room with his inspiring plenary address.